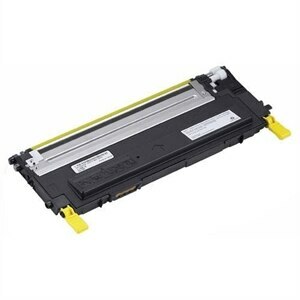 The Standard Capacity Yellow Toner Cartridge from Dell™ is designed to work with the Dell Laser Printer 1235cn. It produces high resolution printouts with impressively sharp images and text. This cartridge features a capacity of up to 1000 pages. The cartridge also supports Dell's Toner Management System for low toner detection and easy online ordering. This product has been tested and validated on Dell systems. It is supported by Dell Technical Support when used with a Dell system.